Though the western world just introduced with the Tamanu Oil, the history of Tamanu oil is for centuries in the South Pacific areas. People focus on this specific oil for its great advantages of treating skin ailments. The Tamanu trees mostly grow in the South Pacific region. Its fruit is similar to an apple. Inside this fruit there are seeds. These seeds are used to prepare Tamanu Oil Acne. The smell of the oil is incredibly strong, and it is very thick. You shouldn’t go outside while using the oil since the smell is very strong. Comparing other oils, this oil is perfect for skin treatment. The scientific name of the Tamanu Tree is CallophyllumInophyllum. Calophyllum is a Latin word which means “beautiful leaf”. The oil of this tree can beautify your skin. It can help skin to remove long-term sun damage to your skin. Also, the oil can solve some toughest skin problems such as acne, inflammatory, and rosacea. Tamanu oil cares your skin incredibly. Blow we are going to discuss its benefits on the skin for acne treatment. Also, those who suffer from other skin problems get help from this oil. 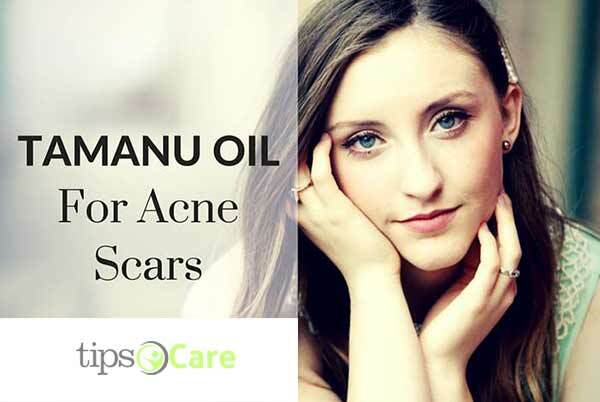 Tamanu oil acne boosts the process of creating new skin tissue. So, it can be a huge opportunity to disappear your acne scars. Remember, a single solution may not work for everyone. Of course, there is an obvious reason. Not everyone’s skins are the same type. Whether it can or not, but it can be said that its impact very well on your acne scars. Some people have scabs on their skins caused by acne. The oil works great to treat these scabs. It speeds up the skin healing process which enables the skin to fade all scabs very quickly. If you use this natural oil from the early stage, you may not have to deal with any acne scars. Though it doesn’t suit everyone, the Tamanu oil is an incredible moisturizer. Those whose skins are oily will get benefits from this oil because it dries out the skin a little. It usually reduces sebum production which causes blocking pores and causing whiteheads. 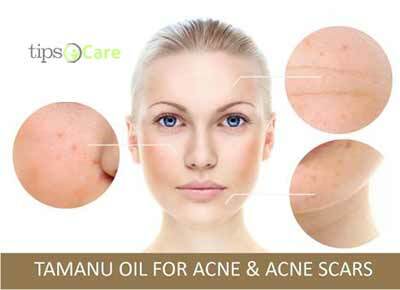 Basically, Tamanu Oil is a complete solution to deal with acne. Its anti-inflammatory properties reduce skin inflammation and fight infection on the skin. Some of its anti-inflammatory properties are anti-microbial, antineuralgic, antioxidant and antibiotic properties. Unlike other oils, it contains a specific type of lipids. Also, its lactone, calophyllolide, and calophyllic acid help to heal acne. Clean your skin properly, then take Tamanu oil, and rub a thick layer of it over the skin. Massage the oil 1 or 2 minutes. Take a little bit sugar in your hand, and softly rub the sugar over the skin. Finally, rinse the layer off with water. This will make your skin softer and more glowing. It may feel bit oily for 10 to 15 minutes, after that the oil will sinks. If you want you can use this method with olive oil if you like to do. If you apply this recipes weekly basis, you would’ve fewer dry patches issue on your skin. 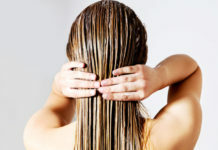 Since the oil is made from natural ingredients, there might be little or at least no side-effects. Depending on the person the effect will differ. Some complained that they found that their skin dries out so quickly after using this, while some other complained that it makes their skin too much oily. So, give it a try to check its impact on your skin. If you find any bad effect, then you may choose another solution. If you want benefits, you should find out the best quality products. Dr. Adorable, California Academy of Health said that the oil fits the bill, they found that all ingredients used here found organic. That is why it is found a little bit expensive. Since it required a little bit, it doesn’t seem expensive then. Seeing its price, don’t go to compromise with the cheaper oils, because cheaper oils always come with dangerous particles. Before purchasing Tamanu oil, you should check it company’s organic certification for oil supplies. The certification guarantees genuine and higher quality oil. While it is about any botanical product, the quality varies from company to company based on how carefully they handled their oil. This certificate will make you sure that you are purchasing pure, undiluted, authentic and potent oil. You should only purchase unrefined Tamanu oil for skin healing issues. Refining may degrade the oil or may remove any important medicinal compounds. The Tamanu oil acne has a strong fragrance, and its color is deep greenish. If you purchase a big volume at once, you store them in the refrigerator, so that any medicinal compound will not break down before using. You can keep a small bottle, and store at room temperature before applying. If you use this oil twice a day, you will see significant benefits within 24 hours. So, try using this skincare natural product and see the impact. 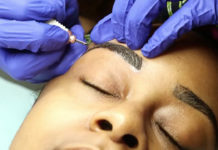 If it passes, then allow a permanent place for the Tamanu Oil Acne.